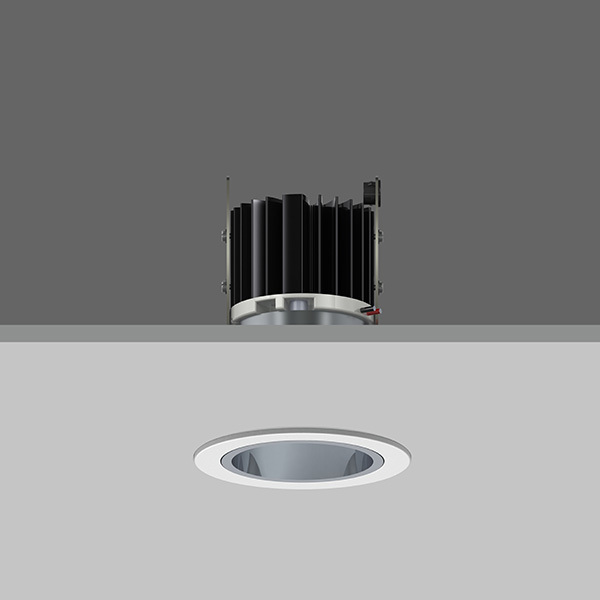 VP X73 FIXED Round recessed downlighter with white ceiling trim and low glare, deep cone diffused spectro silver reflector and lens optic. 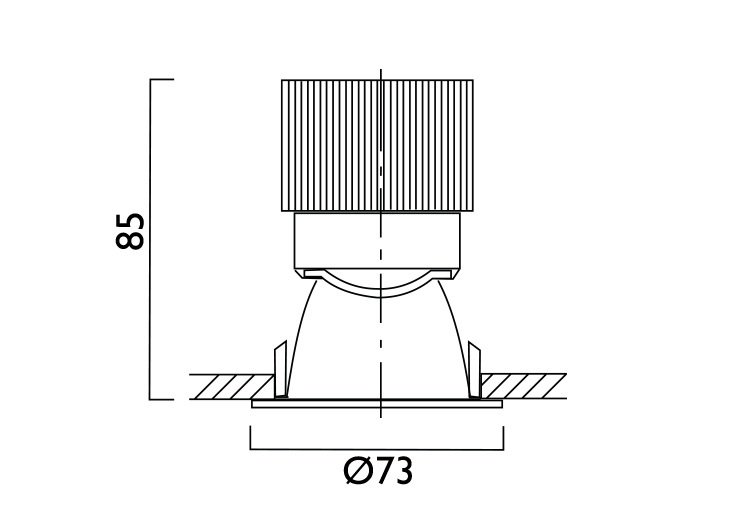 Overall diameter 73mm, cut out 65mm diameter. Xicato LED.